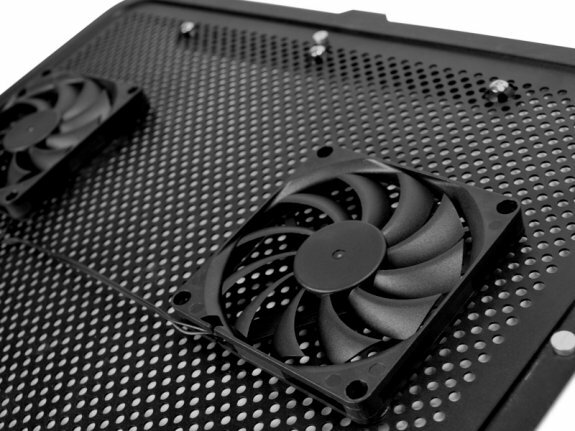 NZXT presents the Cryo E40, a new cooler for laptops of up to 15". 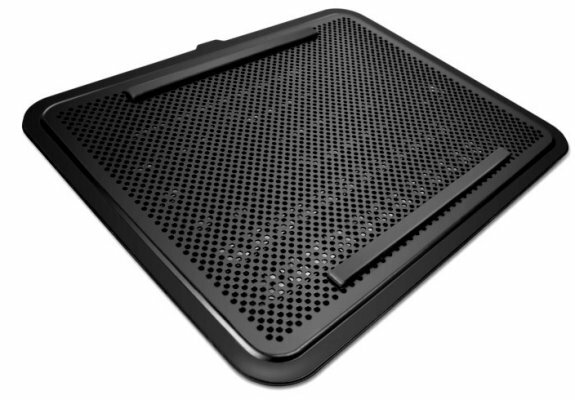 It has two moveable 80mm fans, there's an easily removable steel mesh for quick access to the fans and the USB cable can be routed to either the left or right side. It measures 420mm x 300mm x 60mm and is made from plastic, rubber and steel mesh. The fans spin at 2500RPM but unfortunately NZXT doesn't provide details about airflow nor noise level. The Cryo E40 will ship in May for $27.99. The Cryo E40 is no ordinary entry level notebook cooler. 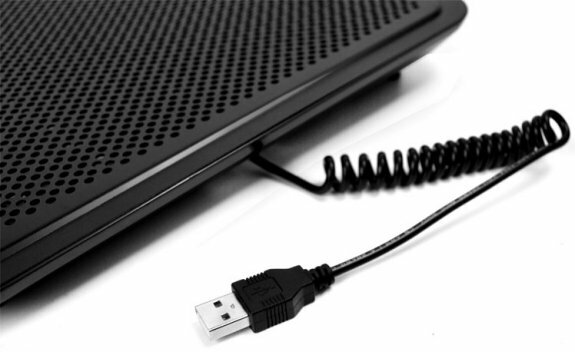 The Cryo E40 possesses a unique design that has the ability to adapt to any laptop configuration. The fans have a magnetic clasp design that makes it easy to adjust the positioning of the two fans, allowing you to pinpoint your laptop’s hotspot locations with precision. This notebook cooler is ultra-portable, USB powered, and supports up to 15” display. The Cryo E40 is the perfect for traveling companion for anyone on the go.